Seventy-five. That’s how long I want to live: 75 years. This preference drives my daughters and my brothers crazy. My loving friends think I am crazy. They think that I can’t mean what I say; that I haven’t thought clearly about this, because there is so much in the world to see and do. To convince me of my errors, they enumerate the myriad people I know who are over 75 and doing quite well. They are certain that as I get closer to 75, I will push the desired age back to 80, then 85, maybe even 90. I am sure of my position. Doubtless, death is a loss. It deprives us of experiences and milestones, of time spent with our spouse and children. In short, it deprives us of all the things we value.But here is a simple truth that many of us seem to resist: living too long is also a loss. It renders many of us, if not disabled, then faltering and declining, a state that may not be worse than death but is nonetheless deprived. It robs us of our creativity and ability to contribute to work, society, the world. It transforms how people experience us, relate to us, and, most important, remember us. We are no longer remembered as vibrant and engaged but as feeble, ineffectual, even pathetic.By the time I reach 75, I will have lived a complete life. I will have loved and been loved. My children will be grown and in the midst of their own rich lives. I will have seen my grandchildren born and beginning their lives. I will have pursued my life’s projects and made whatever contributions, important or not, I am going to make. And hopefully, I will not have too many mental and physical limitations. Dying at 75 will not be a tragedy. Indeed, I plan to have my memorial service before I die. And I don’t want any crying or wailing, but a warm gathering filled with fun reminiscences, stories of my awkwardness, and celebrations of a good life. After I die, my survivors can have their own memorial service if they want—that is not my business.Let me be clear about my wish. I’m neither asking for more time than is likely nor foreshortening my life. Today I am, as far as my physician and I know, very healthy, with no chronic illness. 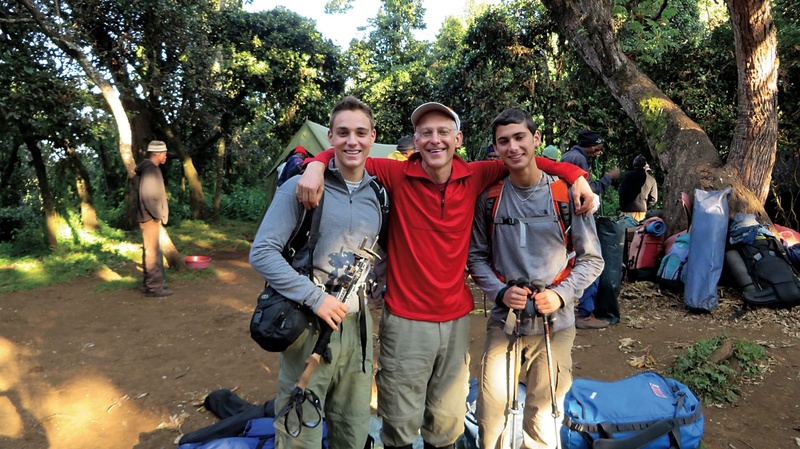 I just climbed Kilimanjaro with two of my nephews. So I am not talking about bargaining with God to live to 75 because I have a terminal illness. Nor am I talking about waking up one morning 18 years from now and ending my life through euthanasia or suicide. Since the 1990s, I have actively opposed legalizing euthanasia and physician-assisted suicide. People who want to die in one of these ways tend to suffer not from unremitting pain but from depression, hopelessness, and fear of losing their dignity and control. The people they leave behind inevitably feel they have somehow failed. The answer to these symptoms is not ending a life but getting help. I have long argued that we should focus on giving all terminally ill people a good, compassionate death—not euthanasia or assisted suicide for a tiny minority. 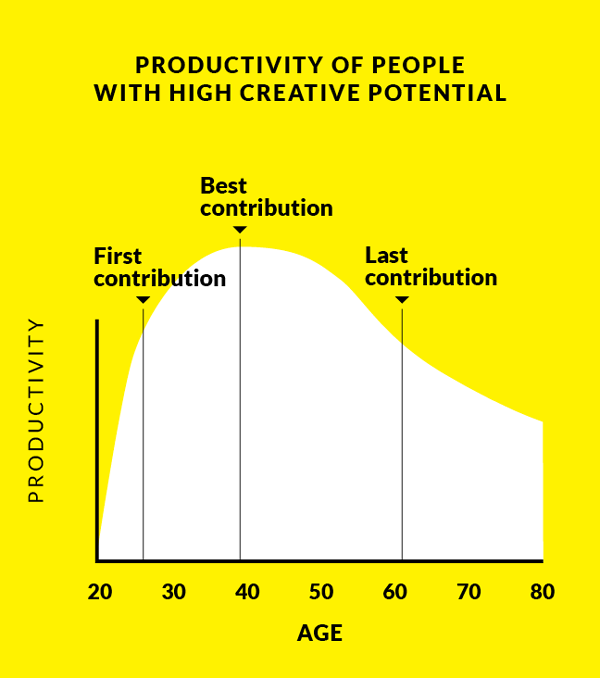 This age-creativity relationship is a statistical association, the product of averages; individuals vary from this trajectory. Indeed, everyone in a creative profession thinks they will be, like my collaborator, in the long tail of the curve. There are late bloomers. As my friends who enumerate them do, we hold on to them for hope. It is true, people can continue to be productive past 75—to write and publish, to draw, carve, and sculpt, to compose. But there is no getting around the data. By definition, few of us can be exceptions. Moreover, we need to ask how much of what “Old Thinkers,” as Harvey C. Lehman called them in his 1953 Age and Achievement, produce is novel rather than reiterative and repetitive of previous ideas. The age-creativity curve—especially the decline—endures across cultures and throughout history, suggesting some deep underlying biological determinism probably related to brain plasticity.We can only speculate about the biology. The connections between neurons are subject to an intense process of natural selection. The neural connections that are most heavily used are reinforced and retained, while those that are rarely, if ever, used atrophy and disappear over time. Although brain plasticity persists throughout life, we do not get totally rewired. As we age, we forge a very extensive network of connections established through a lifetime of experiences, thoughts, feelings, actions, and memories. We are subject to who we have been. It is difficult, if not impossible, to generate new, creative thoughts, because we don’t develop a new set of neural connections that can supersede the existing network. It is much more difficult for older people to learn new languages. All of those mental puzzles are an effort to slow the erosion of the neural connections we have. Once you squeeze the creativity out of the neural networks established over your initial career, they are not likely to develop strong new brain connections to generate innovative ideas—except maybe in those Old Thinkers like my outlier colleague, who happen to be in the minority endowed with superior plasticity. 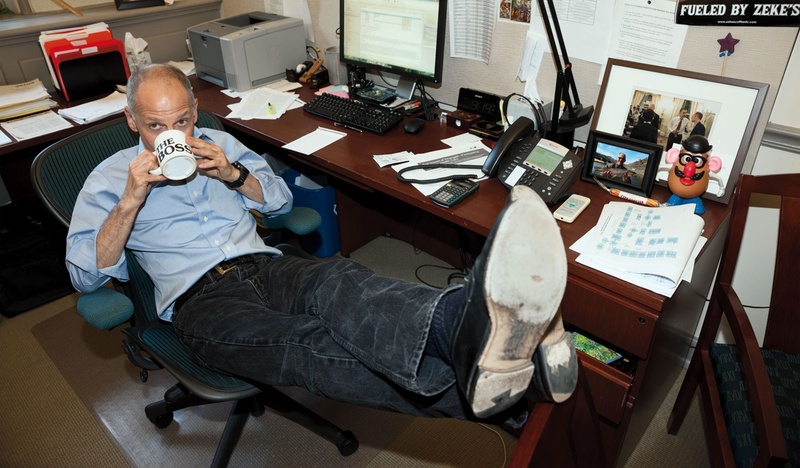 Originally published by The Atlantic, author Ezekiel J. Emanuel.